FARMINGTON HILLS, Michigan, Oct. 11, 2018 /PRNewswire/ — The American Concrete Institute is pleased to announce Ahmad Mhanna as the Institute’s Middle East Regional Director. In this new staff position, Mhanna will focus on ACI’s comprehensive plan to increase knowledge-sharing throughout the Middle East. The great innovation occurring now in the region combined with ACI’s one-hundred-plus years of consensus-based knowledge is a partnership that will accelerate the advancement of the concrete industry globally. Mhanna will assist in establishing and nurturing regional strategic relationships with members, chapters, companies, governmental bodies, educational institutions, partners, and other construction industry organizations. Mhanna will also build upon recent partnership agreements and increase ACI activity in the region. Mhanna will be based at the ACI Middle East Regional Office, to be located in the Dubai World Trade Center, Dubai, United Arab Emirates. An office grand opening celebration is planned for the evening of Sunday, January 6, 2019. An ACI member and civil engineer, Mhanna has wide-ranging experience in concrete and construction materials testing, analysis, and applications. Prior to joining ACI, he was employed at Qatrana Cement in Amman, Jordan. Mhanna has served as a board member of Jordan Concrete Association since 2012 and is also a member of building materials technical committee of the Jordan Institution for Standards and Metrology. Mhanna holds multiple ACI certifications and has served as an ACI Certification examiner. 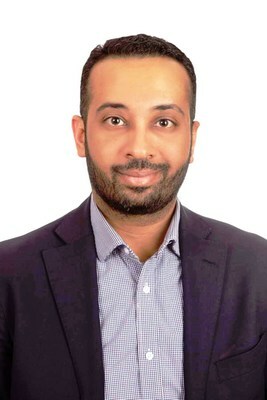 Mhanna received his Bachelor’s degree in civil engineering from University of Jordan, and an MS in Emerging Technologies for Construction from University of Naples Federico II, Italy. He also obtained an Infrastructure Renewal Engineering Certificate from University of Missouri-Rolla, MO, USA. For more information on ACI’s activities in the Middle East region visit concrete.org/MiddleEast. Photos of Ahmad Mhanna available upon request. Details of the office grand opening celebration will be announced on concrete.org/MiddleEast when finalized. ACI members, regional media, construction/government organizations, and interested construction professionals will be invited to attend this celebratory event.